It lies north of Miercurea-Ciuc, it forms one village together with Ciceu. This was the scene of Székely massacre. 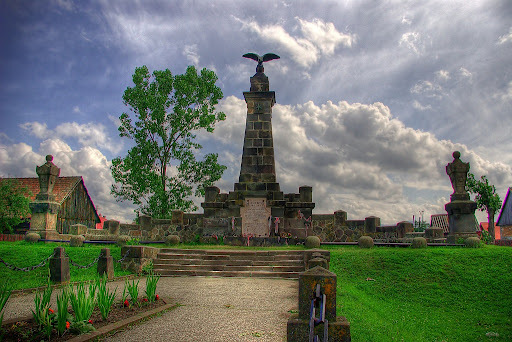 You can find the monument which was built on public subscription on the common burial place of those martyrs who fought against the power of Habsburg oppression.